If you have been going to the gym long enough you may have been asked this question, "What exercise should I do for...............X-Body Part." Now depending on how long you have been lifting. You might say any of the following because you get the most bang for you buck. Compound exercises move the body through more than one joint movement as opposed to isolation exercises where you only move the body through a single-joint movement. If you have not been doing these exercises, WTF have you been doing? I used to be "that guy" who worked out 5 days a week doing a body part a day and was able to hit certain muscles from every angle possible. I was able to put on good size but at expense of overall strength. I look back now and regret not doing compound exercises because my strength in Bench, Squat, Deadlift and Overhead Press would be further along. Recently, I was at the gym and a kid came up to me and said, "What should I do for my Triceps some Supine Position Neutral Grip Elbow Extensions?" Without a pause, I took my headphones out and told him "Go do some dips." After he did a solid set of 4.5 reps that was it, he was done. This kid was ready to do many endless, mind-numbing sets of Soup Can Tricep Kickbacks but when it came to an exercise I suggested, he didn't want anything to do with it. That's OK because if 't they ask you it's your option to suggest a good exercises. if they don't do it that's their fault. Anyways, if that scrawny kid come to you for some guidance help out and hit him with a compound movement. This will help some younger lifters acquaint themselves with some of the best exercises to gain strength, size, and power. 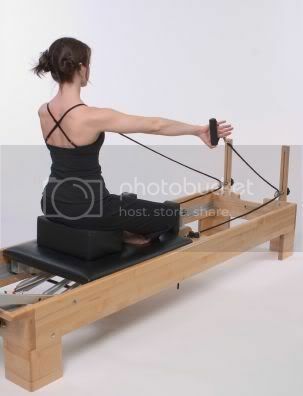 This will also help them stay away from machines that heave them sitting on their hump while exercising on a machine. Don't get me wrong here, there is a place for isolation movements BUT that's after you've done a big exercise. So if you have been contorting your body "to blast the muscle from every angle" it's time to gain some strength first, then worry about muscle size.